Last weekend’s 32nd annual Alligator Festival in Luling offered an array of fried stuff: alligator (of course), shrimp, chicken, Twinkies, Oreos, and…..chicken-fried bacon. 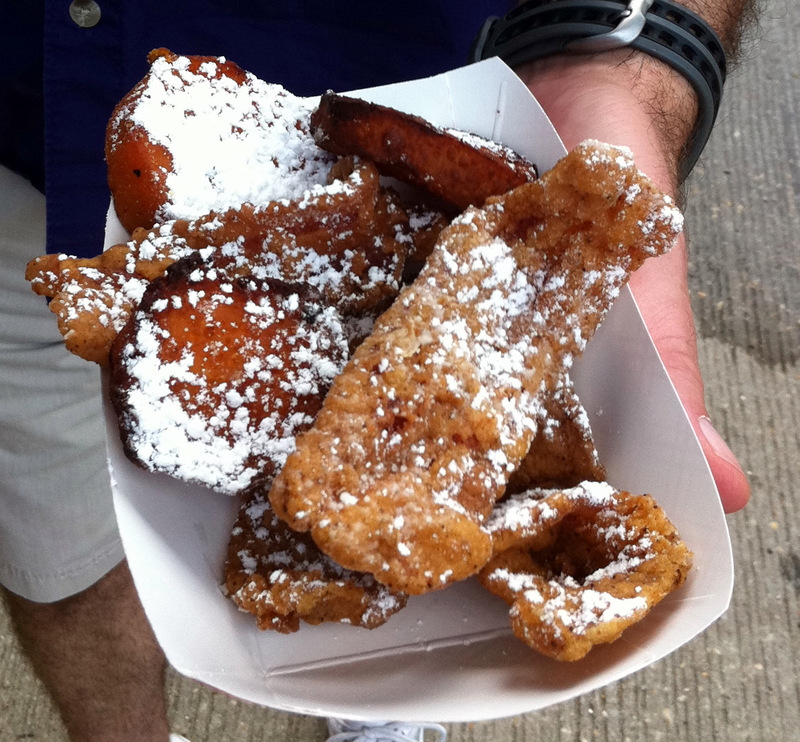 Move over,deep fried butter: fried bacon’s got you beat, especially when it’s battered, surrounded by fried sweet potatoes, and topped with powdered sugar. How was it, you ask? Very battered, with a pronounced smoky flavor. The bacon fat was a tad chewy, without any of the crispy texture you want in bacon. Fried bacon is all gimmick, compared to the (slightly more palatable) fried Oreo. OMG..cholesterol city..just reading about it I want to gag.. It wasn’t that bad: not as greasy as you’d expect, but not as tasty as crisply cooked bacon on its own.